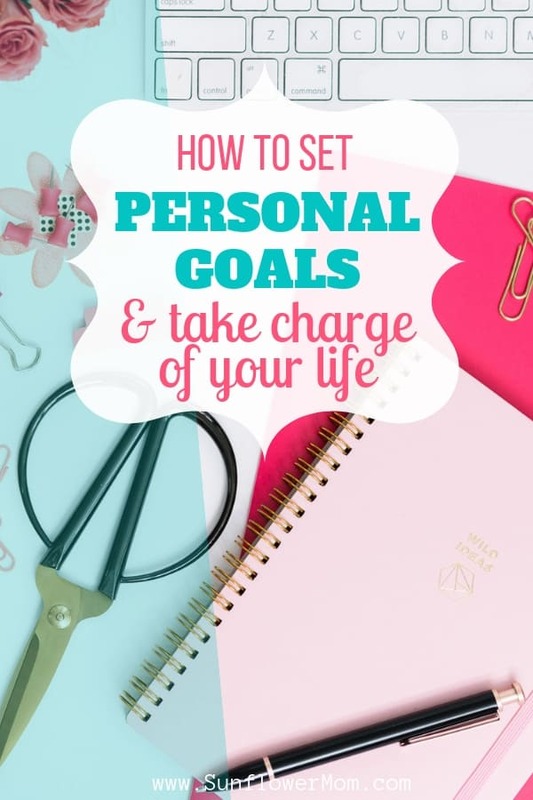 Inside: Everything you need to about how to set personal goals including simplified worksheets to download for free. Often life feels easy breezy after school. Maybe you got married, you found your dream job, perhaps you had kids. Regardless, you didn’t worry too much about your next step. But for most of us, a significant life shift happens at some point. Perhaps it’s divorce, the death of a loved, or the joy stealer: un-contentment. It plagues us all. Either way, you go from pie in the sky dreams to actionable goals. Goals don’t have to be long and complicated. Goals can be simple and even fun. I write my goals out at the end of every year, then revisit them each month. You only need one page for your goals. A supporting sheet with action steps if you’re feeling ambitious. Learn how to set personal goals and to spend some time at the end of each year by yourself in preparation for the next year is the best the thing you can do for yourself. For each big commitment asked of you, when you can compare it against your goals, it allows you to live the next year with intention. Do not let others run your life or run your schedule. 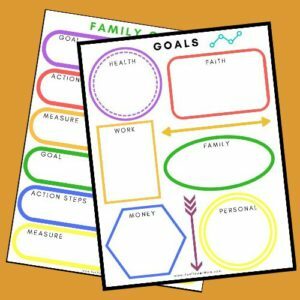 Print the personal goals worksheet above from the resource library. Let’s break it down into 6 areas. For each of the categories in the Goals worksheet, name 2 or 3 goals you have for each one in the upcoming year. Print this out and live the new year with intention. 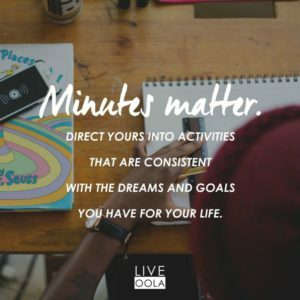 Something comes up that’s not in alignment with your goals? Then it’s a no. Asking yourself this question is the way to ensure you’re taking care of the essential things in your life and discarding what’s not essential. You’re in charge of your own life. It’s with small thoughts and then with your actions in each of these categories, each day determines this. Now fill in your goals. Here are some ideas in each category. Drink a smoothie each day. It’s a delicious way to get in 5 fruits and vegetables before you even get to work. Do a 30-day fitness challenge. Assess if you may have hidden toxins in your home you could ditch and switch. Commit to walking for a certain number of causes in the new year and set a goal of pounds to lose and money to raise. Join a Bible Study at Church. Commit to morning quiet time – get up early each day for quiet time with God which can include Bible reading, journaling, prayer or whatever’s on your heart. Learn the art of Bible journaling and incorporate it into your time if you’re artsy or want a more creative outlet during your Bible time. Commit to regular church attendance. Memorize a certain number of Bible verses with your kids. Take a class to learn a new skill to advance you either in your current position or in a different job you’re interested in. You can find a lot of free and inexpensive options if your employer does not pay for it. Update your resume if you haven’t visited it for a while. Do you often think about a career change? Write it down. Commit to one activity per month with your kids. This doesn’t have to be big – only intentional. Spend 10 minutes of quality time with each child each day. See what an impact this can have on your children. Decide to turn the TV off, and if you’re brave all electronics, for a certain period or day each week. If you don’t have a 6 – 12 month’s emergency fund, add this one of your goals this year. Credit card debt – invest in Dave Ramsey’s Financial Peace if you have a lot of debt. Call around to local churches, most likely you can find one who hosts classes in the upcoming year. Save money, even $5 per day through your daily routine. Meet with a financial planner to discuss your current and future financial situation. If you do not have a Will, add this to your goals this year. A Will is essential for single parents. What do you enjoy doing but haven’t done in a while? Find time to explore your passions. Mark time on your calendar to do it weekly or monthly depending on the activity. Maybe this means getting a babysitter, or not doing the dishes each night. Join a book club. Most libraries have a book club you can join – either online or in person. Go to a craft workshop with friends. Expand your community and fight the isolation of single parenting through activities that get you out of the house. Have a standing coffee date with a friend or co-worker you enjoy. Set aside some money (if this doesn’t conflict with your other goals in the money category) from your paycheck or tax returns to spend on you alone and not feel guilty about it. For each goal category, you need an action step and a measurable date for each to track your progress. In the resource library, there’s one page per goal category. These worksheets can be used to help you narrow down on the specific action steps and measures. You can print these off each month if you want to readjust them. Your primary goals do not change, only the steps to get there may need to be adjusted. For each category, you will enter the Goals you identified earlier. The next box allows you to enter Action Steps to get there. 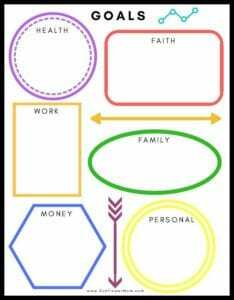 Using the same example of Faith, this could include family church attendance, daily Bible Study as a family during dinner, and/or saying our prayers together each night. The Measure is useful for you to determine throughout the year if you’ve realized your goal of “becoming the spiritual leader in your house” or not. Some examples are “Attend church at least 3 out of 4 weekends per month. How many dinners did we incorporate Bible Study and how many evenings did we say our prayers together?” Then readjust for next month. The worksheet repeats the pattern two times for each goal category. If you have more than 2 goals, print multiple pages off. Ideally, you will have 2-4 goals per category. Goal setting doesn’t have to be complicated. Setting your personal goals each year doesn’t have to take hours and involve 20 different worksheets. Learning how to set personal goals for yourself can be life-changing. Life can feel overwhelming when it’s all in your head. Write them down. Have a small plan and review it each month. Look at what it is important to you. 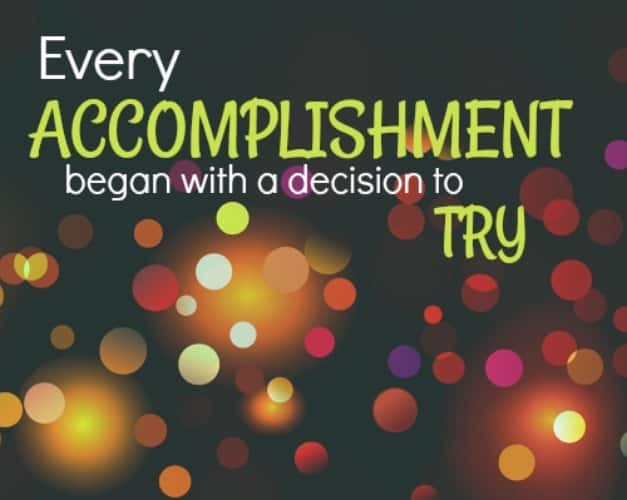 Then look at what you accomplished. You might just be amazed. Previous Post: « How to Celebrate 12 Days of Christmas: With Easy Ideas!